Mechanical Engineering | Allana Buick & Bers, Inc.
Building mechanical systems are the unseen components of each and every building structure. Although out of sight, they provide comfortable indoor conditions for occupants. Mechanical systems are often prone to deterioration or failure, and can result in damage to other building components. They can also cause excessive water and energy consumption. Due to the inherent complexity of these systems, successful installations require great attention to design detail, proper selection of equipment and system components, and thorough knowledge of system control, operation, and maintenance. The average building’s mechanical systems consume up to 60% of the structure’s total supplied electricity, and most buildings waste at least 10% additional energy due to inefficient HVAC systems. Take control by implementing strategies that reduce the power consumption of mechanical systems. Allana Buick & Bers’ (ABBAE) licensed professionals perform energy audits that identify financially efficient mechanical upgrades. ABBAE’s comprehensive list of mechanical services can be custom tailored to your needs. Typically, the heating, ventilating and air conditioning systems in buildings are only noticed when comfort conditions are not met. Many HVAC system defects exist that are not readily observed by the building occupants even though indoor temperature conditions seem normal. Hidden within the air handling equipment and in the air distribution ductwork are sites for potential problems that can lead to indoor air quality issues. Corroded and dirty ducts and equipment provide breeding grounds for microbial and fungal growth. 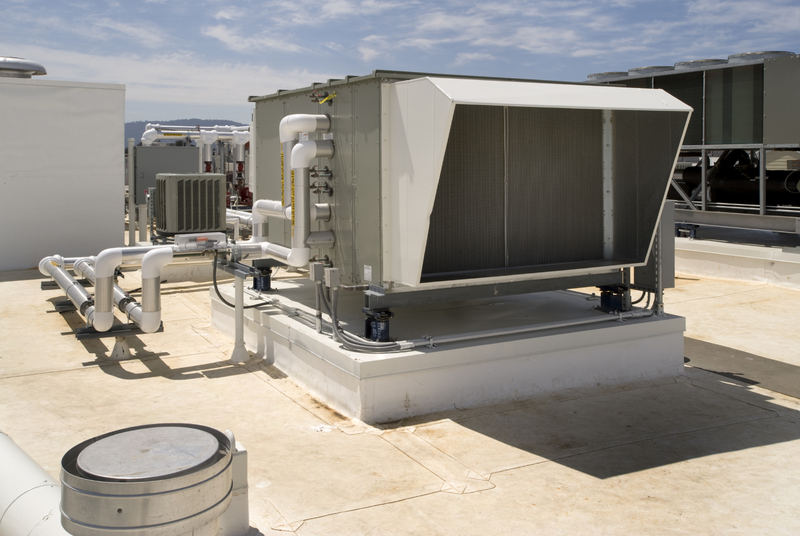 Malfunctioning outside air dampers and controls can result in deficient supply of fresh air to the building occupants or excessive fresh air that increases the energy load. Deferred maintenance in HVAC has exponential, negative effects such as: higher energy costs, higher maintenance costs, frequent breakdowns/tenant dissatisfaction and suppressed building appraisal value. ABBAE can evaluate, design, and manage the refurbishment or replacement of old or outdated HVAC systems. Building plumbing and hot water systems are often taken for granted until problems surface. Lack of hot water, water pressure, or failed drain lines can instantly have a negative impact on a business. Plumbing systems in buildings (particularly in the piping components) are prone to multiple failure modes. Water supply pipe is subject to erosion, corrosion, or pitting due to excessive flow velocity, poor installation practices, and high resistance pipe layout. Failed pressure booster systems can result in lack of water, while improperly operating pressure boosters can lead to increased energy usage. Domestic hot water systems must be sized for adequate storage and recovery for the areas they serve, and these systems can be large energy consumers if not designed, installed, and operating properly. ABBAE has experience in evaluating, designing, and managing projects covering all aspects of building plumbing and fire protection systems. Improperly sized indoor pool dehumidification systems can lead to uncomfortable conditions and potential building damage. Pumping systems for pools and water features can be a large energy consumer. ABBAE offers full evaluation, design, and project management services of existing or new mechanical systems which serve fountains, pools, and natatoriums. Pipe insulation provides two important tasks: thermal heat loss or heat gain protection, and avoidance of condensation on chilled water pipes. Since most piping runs in buildings (including chilled water pipes) are routed through concealed spaces, the accumulation of condensation and the resulting damage to surrounding construction materials generally continues unabated for extended time periods before being discovered. Therefore, it is critical to install a reliable, condensate-free pipe insulation system. ABBAE has the expertise and experience necessary to survey and identify problematic pipe insulation locations and to specify appropriate pipe insulation technologies. We offer the following services to improve energy efficiency and mechanical optimization for commercial buildings and industrial facilities. Our professionals have designed and installed new residential and commercial domestic solar water heating systems. Hot water consumption, site conditions, geographic locations, and utility rates, are all considered in evaluating system performance and cost effectiveness. We also offer existing solar water heating system survey and monitoring services to verify proper operation and control of the existing system and calculation of actual solar energy contribution to building utility savings.